We are witnessing many ads of various weight loss pills and drinks, which remove unwanted pounds almost instantly. We can see them all around us, on TV, the Internet, billboards, etc., but the awareness of the effects of such preparations is very low. Or we know about how it can affect us, but we consciously neglect it, because we want to lose those pounds so bad. We all are pretty aware that every quick and short-term weight loss is useless because the weight will usually return in no time. And since people often decide on these desperate moves without medical supervision, it can be dangerous for health. Just think of this – you didn’t get all that weight overnight. So it’s logical you won’t get rid of it overnight. The idea that diet pills can burn down up to 20 pounds within just a few days, without doing anything, should cause suspicion. However, people who desperately want to lose weight grasp at the straw and take some desperate moves, while not knowing on what principle the pills are functioning at all. And, in most cases, that won’t bring the desired results, while there is a possibility that life and health will be endangered. Dieting pills whose mechanism of action is medically justified and proven can bring results without endangering your health. These preparations, which are not those “magical” ones you can see on ads, can help in the process of healthy, gradual weight loss. These pills serve to control appetite or accelerate metabolism. And to achieve this, we have to bring some significant changes to our lifestyle. Marketing is a real science – marketing experts can use all of your weaknesses and turn them to their advantages. People often can be too seductive when someone gives them magical promises, like with diet pills promising extraordinary results in short notice. After experiencing disappointment due to unsuccessful weight loss, many fall into the vicious circle, and come close to the obesity limit. Therefore, people should be extremely cautious, and not to experiment with products that don’t have proven efficacy. In the case of extreme overweight that threatens to endanger your health, the best solution is to visit a doctor who will give you some prescription drug. Since specialists treat obesity only when your BMI passes index 30 (or 27 if there are indications that your health is endangered), those who want to lose weight in this way often opt for some over-the-counter medications. You can have success with them, but only if you are buying them from trusted manufacturers, in checked stores and pharmacies and online stores. When buying from online stores, it is best to check the homepage of the website where one would usually find the guidelines. 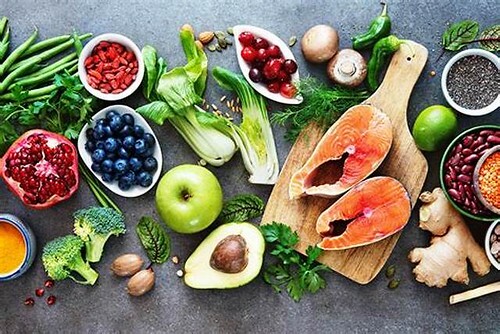 Besides taking efficient dieting pills, with a brief explanation on a homepage, the specialists will recommend you to take care of the food intake, but also to increase the level of physical activity as much as your health condition allows. For the beginning, it will be enough to use some of the drugs that reduce fat absorption or suppress the appetite. After the weight loss process starts, proper nutrition and exercise will only accelerate and stabilize it. Maybe some dieting pills won’t give quick and expected results, but if we combine them with some lifestyle changes, they can be a great “reminder” to start a healthy life, which will lead to a healthy and permanent weight loss. It is true that this method requires more effort, but keep in mind that no success comes overnight. There are many ways to make pills consuming more efficiently, but also to fully adopt some good habits. The do’s and don’ts list is rather long, but for the beginning, it’s great that you have the will and desire to turn to a healthy way of life (and lose weight). The mechanism of action of some pills is that they need to replace the meal. “You will lose X pounds in Y days if you take 2 pills instead of a dinner.” Or worse, if it is recommended to replace the entire daily menu with some dieting preparations. Although intermittent starving became one of the most influential trends among diets, fasting is not a solution for those excessive pounds. This won’t stimulate the organism to start wasting energy from the fat deposits, because there’s nothing to trigger this process. Every organism needs energy, and you can get it through food. Check the source below to find out why you have to avoid getting your organism into “starvation mode:” https://www.livestrong.com/article/247150-how-to-get-your-body-out-of-starvation-mode/. If you think the rule of “more protein, fewer carbs, and complete fat elimination” will help you lose weight, you are on the right track, but you are not quite right. Carbs and fats can be harmful to your health only if they come from poor sources, such as processed foods. You don’t have to avoid these nutrients, because they are the basic fuel of the organism. You just have to adjust their input to your daily needs. If you use some pills that affect reduced fat absorption, there is no need for drastic restriction of their intake. More important is the selection of quality foods that contain healthy fats, such as sea fish or nuts. The changes that you introduce in your exercise, don’t have to be so radical. You can set some monthly goals you want to work for. For example, an initial goal can be to eliminate the sodas and carbonated drinks from the daily menu and start walking to the workplace. Once you reach (or recover) the form, you can devote yourself to some intensive physical activities. You don’t have to become a passionate athlete, but it is advisable to leave a few hours a week for the physical body culture. This will make you feel better, but also look better. When you do something wrong for a long time, it often seems that returning to the right path is complicated. Healthy and balanced nutrition with moderate physical activity, and sometimes a little help dieting pills, are the keys to success in eliminating excessive pounds and starting a new life.